I was recently planning a bridal shower for my brother’s fiancé and wanted to do something special using crochet. I ran across a blog, Amigurumi Askina, featuring a bride and groom doll set. The pattern happened to be in Turkish so I used a bit of translation and modifications and made up my own pattern to create this set of dolls. My tutorial videos are in two parts. The first part demonstrates the bride, and part two shows how to make the groom. These adorable dolls are great to feature at a bridal shower or wedding, and you can modify them to make a prince & a princess, a king & a queen, just a boy & a girl, and, with marriage equality, it would even be cute to make two brides or two grooms! Another thing you could customize are the features of each doll. You could change the eye color, hair color, skin tone, flower colors, dress color, and suit color. You can add personal touches to emulate the person you are trying to make. You can get creative with these, the possibilities are endless!! 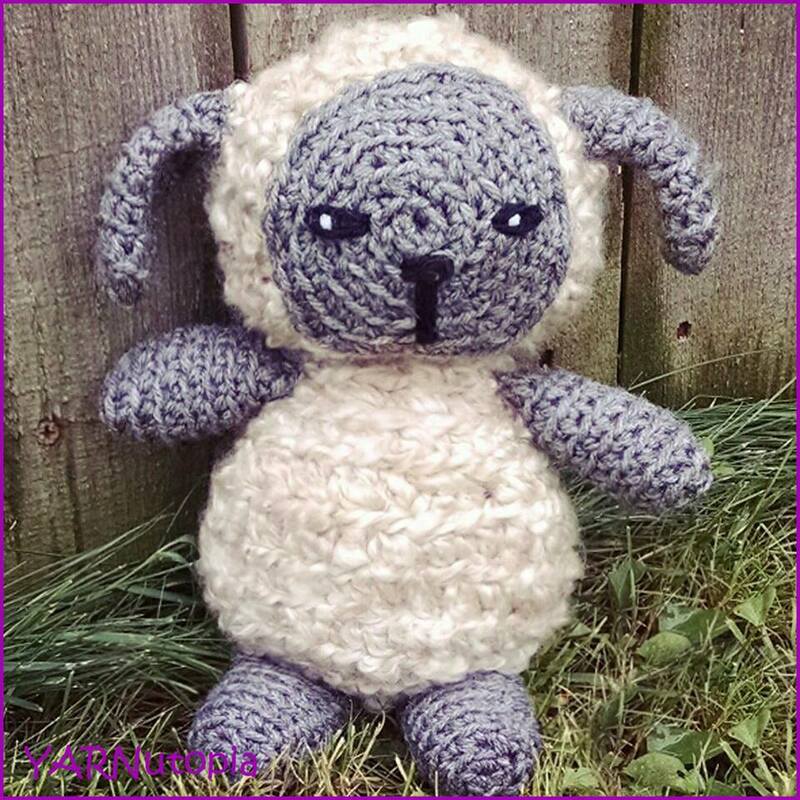 The final product is not your typical tiny amigurumi. These measure approximately 8-10 inches tall (20-25 cm). Anybody would be happy to receive such a unique and special gift! This is not an easy project, as I say in my video, I would recommend an intermediate to advanced level crocheter to attempt this, but feel free if you want a little bit of a challenge! This is how I displayed the dolls at the bridal shower. Using the groom pattern, I modified it to make a little boy to represent my nephew. Before I share the video and pattern, I want to share with you a personal moment of my nephew playing with the dolls. His parents are the ones getting married this summer and he was playing “wedding.” haha! He even made the bride and groom kiss! It was priceless! Share your finished work on my Facebook page! Popcorn stitch: yarn over, go into next st, yarn over, pull through, yarn over go into same st, yarn over pull through, yarn over, go into same st, yarn over pull through (you should have 7 loops on your hook), yarn over and pull through all 7 loops. -Pattern for head, hair, body, arms are worked in continuous rounds. -For the bouquet, I took the Red Heart Yarn 10 ply and pulled it apart in half, and used that. You can use thin red thread if you prefer for the flowers. -For embroidering the face, I also pulled the yarn apart, but you can use thread/floss for the face as well. Embroider a nose with the same color yarn in the center of the face. Embroider black: eyebrows, eyes, eyelashes. Embroider with red, lips. Then start stuffing the head and continue crocheting. See video for assembly assistance and see photo for guide. Stuff in any more polyfil that can fit and fasten off with long tail for sewing. Fasten off with long tail for sewing. Add stuffing. 4dc in 2nd ch from hook. Fasten off with long tail, sew to each side of head. For one of the legs, fasten off. For the second leg, do not fasten off! You will continue to work this leg to join the two together. Now you will join the two legs together, and form one body. Stuff both legs and continue working. Stuff the rest of the body completely and continue working. Slightly stuff hand part, and less stuffing in arm. Sew to each side of body. Ch 24, wrap chain around bride chest and sl st to first ch to form ring. With Red Thread, watch video on how to thin out Red Heart Yarn. Sew flowers into bouquet holder. Sew 1 bead into center of each flower. Sew 1 bead into each ear, put 10 beads on a string and wrap around neck for a necklace. Cut a square of tulle, poke a hole into it and wrap it around the bun in the hair for the veil. Tie ribbon around waist and around bun. Embroider a nose with the same color yarn in the center of the face. Embroider black: eyebrows, lips, eyes. Then start stuffing the head and continue crocheting. Sew head to body. Stuff any little bit that may need to be added. I recommend watching the video for the Jacket portion. (If you need jacket longer, just repeat the last row until it is long enough. I ended up doing this repeat for the last row in my video: *dc2tog, dc, repeat from * across.) It may only take you 5 or 6 rows for your jacket to be long enough. Sew jacket around body and sew it closed and sew it to body to secure it in place. Sew arms to outside of jacket on each side of body. Row 1: Sc in 2nd ch from hook and across. Take long tail and sew it to the center of the bow, wrap yarn around the center a couple times. Then sew to neck to secure it. Sew 2 beads in front of jacket for buttons. ***These patterns are copyright YARNutopia © so PLEASE DO NOT COPY, SHARE, ADJUST OR RESELL MY PATTERN. I wrote and tested this pattern myself, from beginning to end. It took a lot of time and work, and I would really like to have it remain “my pattern.” Thank you!